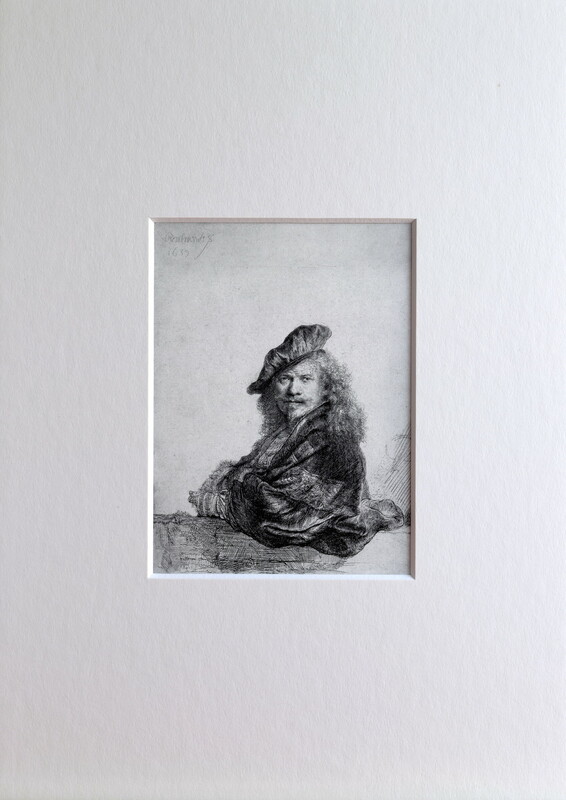 Rembrandt as Grand-Seigneur in mount, 20 x 28 cm. 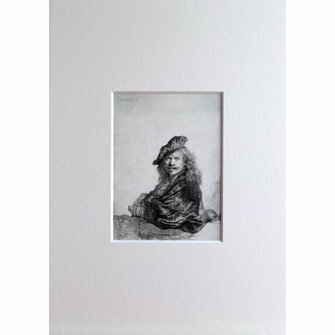 Rembrandt as Grand-Seigneur in mount, 20 x 28 cm. B21, Self-portrait, leaning na stone sill, 1639. 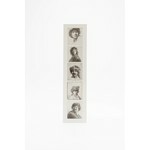 Rembrandt has been inspired by Rafael and has portrayed himself as a Grand-Seigneur.